I am aware from my personal involvement that Winter racing was pioneered by the Seafly Dinghy Class Association in 1965. 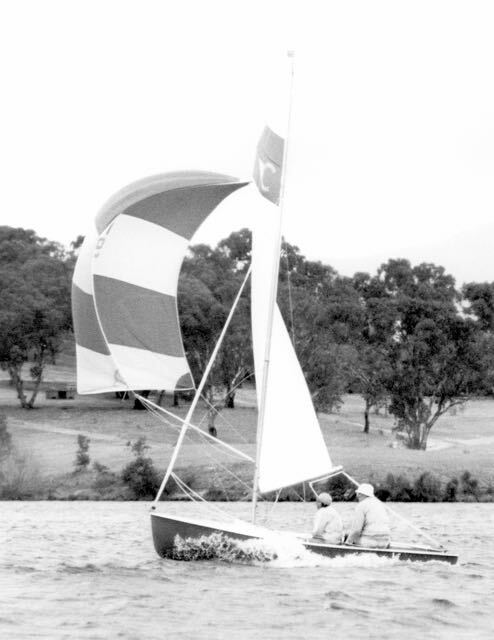 We had an 11 race series, from May to September, starting at 11a.m., with 6 laps around a short course in the relatively sheltered area of Yarralumla Bay. An average of about 10 boats raced each week. The wearing of PFDs was compulsory and the Race Committee had the option of banning the use of spinnakers if the wind was judged to be too strong. Initially, one of the Seaflys, fitted with an outboard motor, was used as a safety boat. 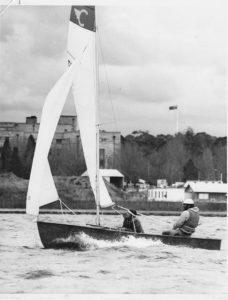 Other current members CYC who participated in that first series were Eileen and John White – and I would have thought, Peter Fullagar, but the records I have don’t include his name. 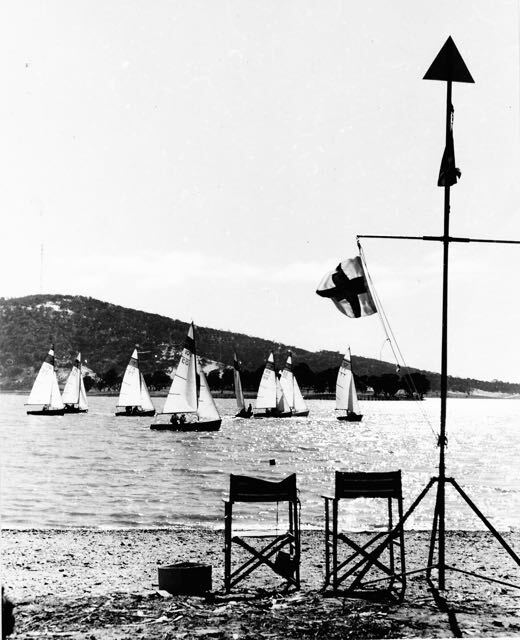 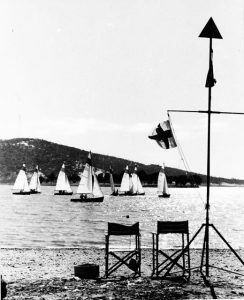 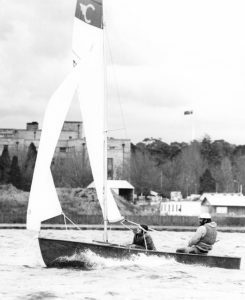 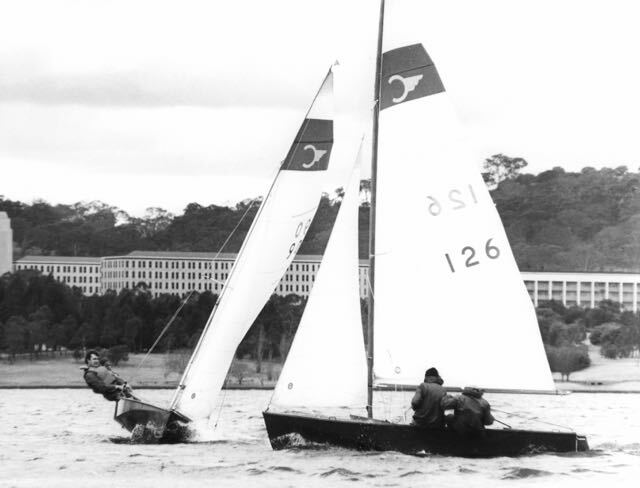 The accompanying photo… shows the start of one of the races in 1966 when there was still a good cover of snow on the ground, following a day of snow falls on the Saturday – and I well remember it as a sparkling day for sailing!In the Winter of 1967, some of the earliest Mirror dinghies in Canberra joined us in the racing. 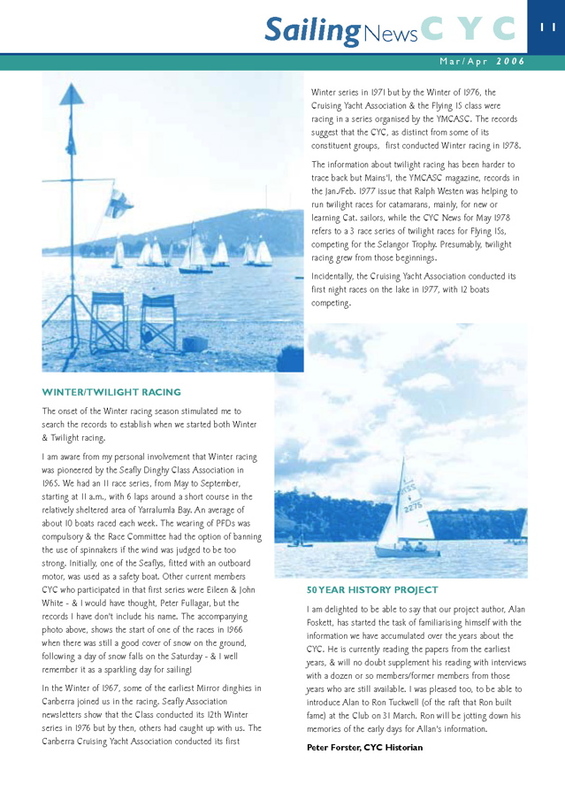 Seafly Association newsletters show that the Class conducted its 12th Winter series in 1976 but by then, others had caught up with us. 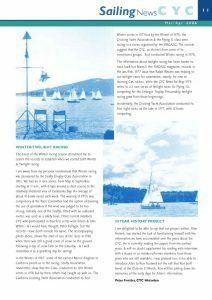 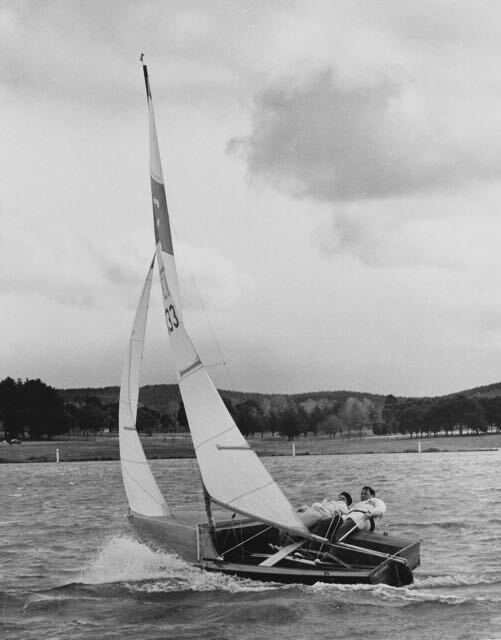 The Canberra Cruising Yacht Association conducted its first Winter series in 1971 but by the Winter of 1976, the Cruising Yacht Association and the Flying 15 class were racing in a series organised by the YMCASC. 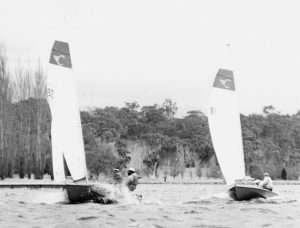 The records suggest that the CYC, as distinct from some of its constituent groups, first conducted Winter racing in 1978.